There isn’t much known about Sawlin – except that he’s called Ronnie, lives in Berlin, studied sound engineering, runs a studio and is an analogue machines freak. That’s about all the information we’ll get for now and that’s all that he considers relevant. The guy doesn’t perform in public that often and tries to avoid the media. It’s a commonplace in techno: artists who deliberately dwell in obscurity while drawing on the classic statement that the music should speak for itself. In the case of Sawlin this actually works out finely since his relatively limited discography is imbued with a true trademark style – one which is definitely dark and gritty. Nowadays, it is noticeable that several techno artists seem to return to a sinister, industrial and rather hard variant of the genre. Instinctively one can view this given as a response to life in an age that is eclipsed by a worldwide economic and political crisis. It could also well be a reaction against the current state of things in the dance scene, which has been penetrated by the mainstream and by commerce, where the influence of club culture has decreased and where instead large-scale dance festivals prevail. These focus primarily on a bland and colourful escapism and on delivering the visiting flock an overall experience; the music as such is only a small element of such lived events. These are just a few elucidations, but I think it is obvious that people like Sawlin attempt to deliver a kind of techno music that implies another form of diversion from the hardship of everyday life. It might be perceived as being more confrontational because it doesn’t veil the gloominess of our times, but represents it and exploits it as a tool for subversion. Hence the references a lot of techno artists now make to musical styles that had a similar strategy, such as punk and industrial. Anyway, for Sawlin this is an inspiring and productive period –he is about to release two eps soon. The first will be the twelfth record of Vault Series, a label started by Berlin-based producer Subjected around two years ago and I must say its mission statement sums up my introductory thoughts nicely. 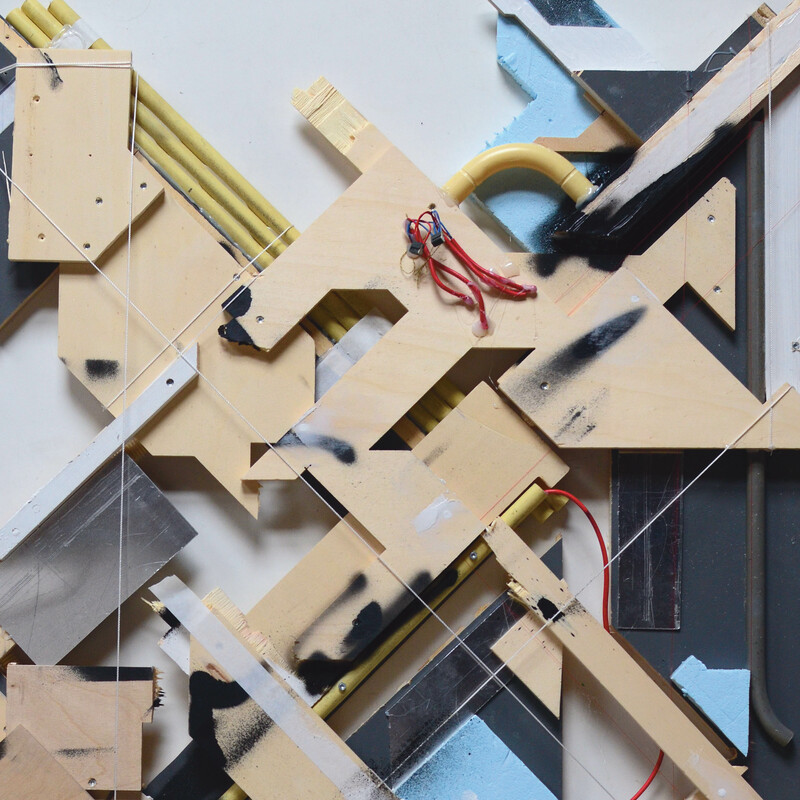 The first track, “Mandeltone”, immediately brings one into a sphere that is reminiscent of derelict heavy industry, including rusty tones and uncanny sound snippets which are set against a background of hard pounding beats. A short-cut vocal sample adds to the music’s grimness. “Ambos” is slower but equally menacing due to its distorted high tones. The beat that characterises “Rebirth” is massive. Gradually layers are put in: metallic sweeps and echoing grinds carry along a hollow sounding melody. 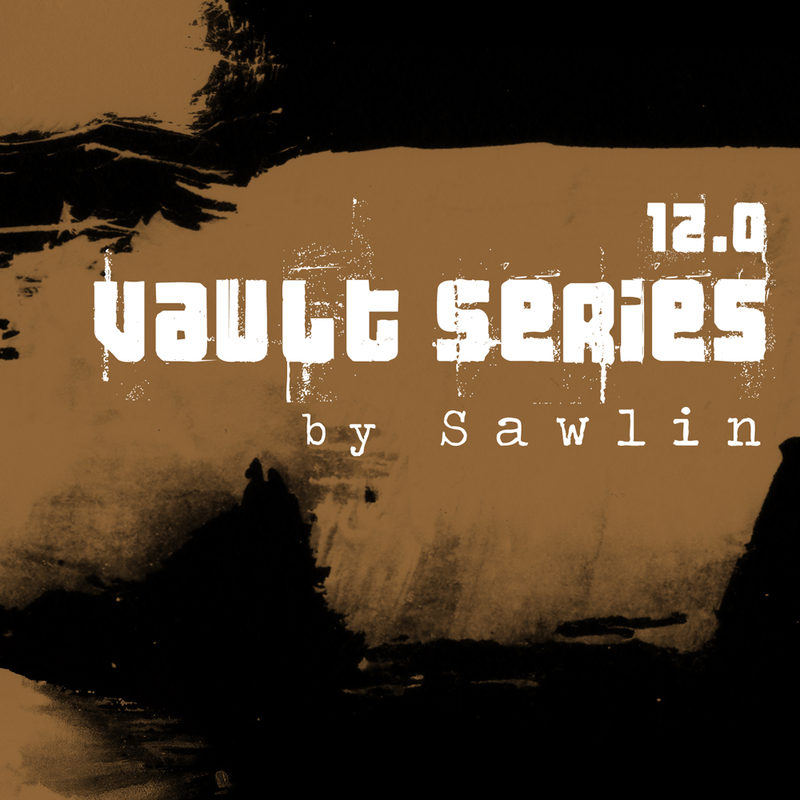 The digital version of “Vault Series 12.0” is supplemented with “Between Machines”, a track with a typical techno structure but also with a seemingly unpolished production – a feature that fits it perfectly. Mid-December, Delsin’s sister label Ann Aimee, which was responsible for the man’s debut ep “Techno Dumping”, will then bring out “Eviment”, consisting of three more Sawlinesque stompers. The title track is packed with creepy parts, giving it an introvert and even depressing ambiance. Nevertheless, its build-up is thrillingly efficient. The same can be said about “Sour Tear” with its high-pitch snare percussion and weird hissing. But for me personally, “Kretze” is the Berlin producer at its best when it comes to creating mayhem on a dance floor, thudding as if an old factory is producing at night-time in a rhythmic, fluctuating pattern. With these two releases, Sawlin confirms his status as a big talent and his future is looking bright – though that may not the best word to choose in relation to his musical output. ← Competition: CLR at ADE, 19/10/2012, Undercurrent Amsterdam (NL) – The winners!